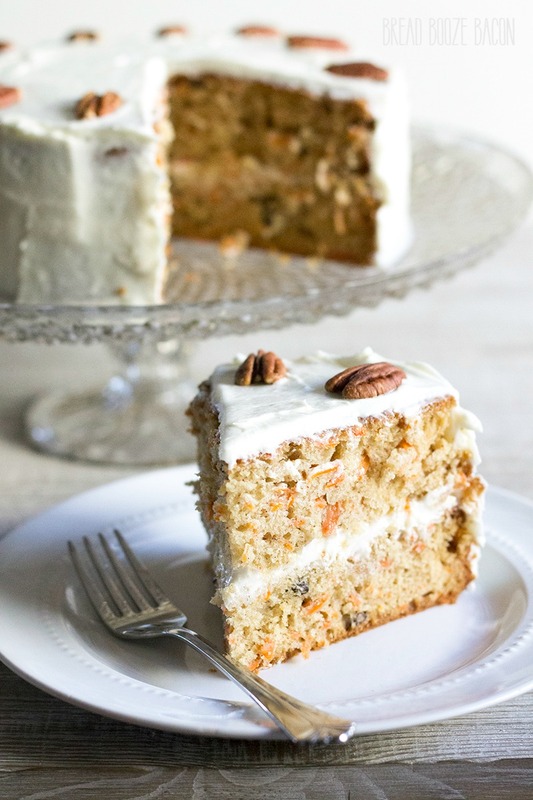 Homemade Carrot Cake is a rich dessert that’s easy to make and has pure, homebaked goodness in every bite! It will brighten up your Easter dinner! This post contains affiliate links. If you make a purchase, we get a little beer money at no extra cost to you. Of all the cakes I’ve loved in my life, carrot cake is one of those weird ones for me. I like it and all, but it’s like deviled eggs. I get put off when there are things in the recipe that I don’t think below for flavor or texture reasons. So, while I love the idea and basic flavors or carrot cake, I’m not into the raisins or pineapple chunks. 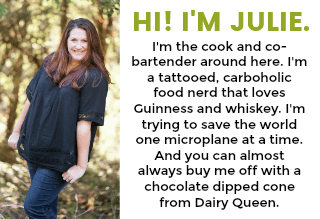 This recipe is my ode to carrot cake. The way I like. Simple and delicious…with lots of cream cheese frosting. I had been teasing my husband with the idea of this cake for months. I ran several ideas by him – carrot cake magic bars, carrot cake pound cake (which he now says I owe him), carrot cake poke cake. But he stood firm that I should make him a traditional carrot cake. So, I hooked it up, and then I took about a third the cake to the neighbors. Lord knows we don’t need a whole cake to eat in the fridge. Luckily my in-laws came over too and I sent some home with them as well. Everyone raved about this cake. 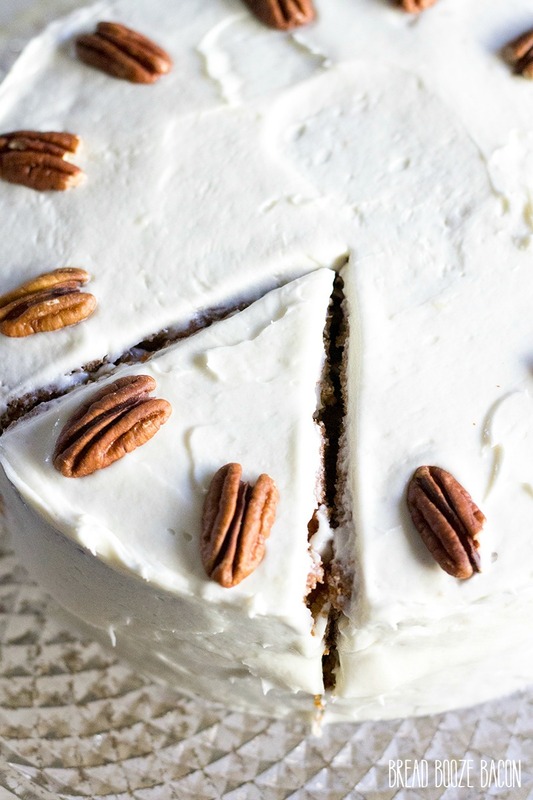 But then again you can’t really go wrong with carrot cake, pecans, and cream cheese frosting. This recipe a classic and perfect for everything from weeknight dessert to holiday celebrations! This month for feast & devour we’re cooking with carrots! From sweet to savory there are recipes for every-bunny. Ha! See what I did there. 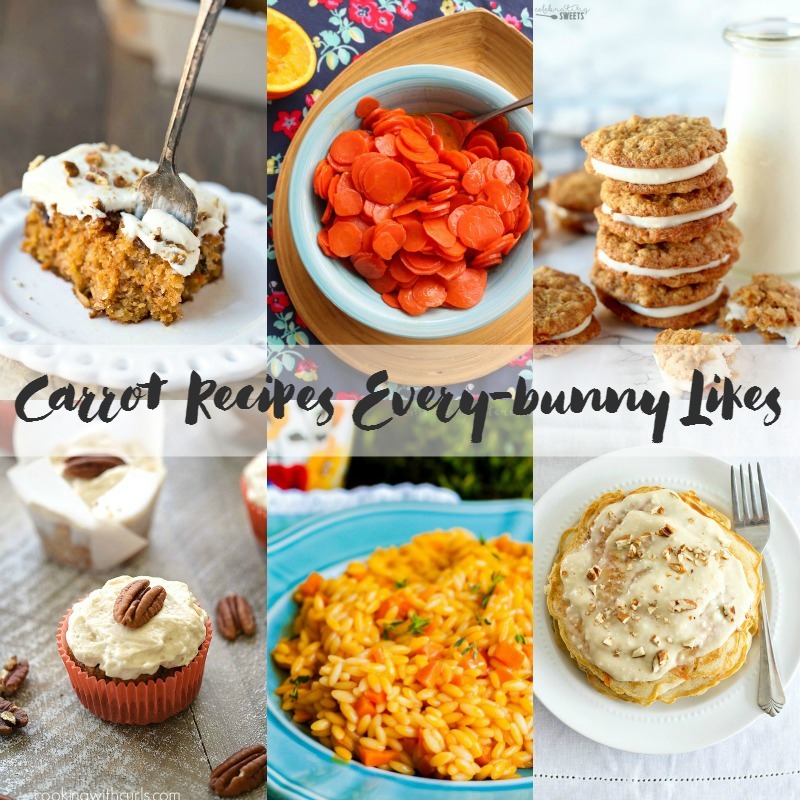 #nerd So grab a big bunch of carrots and get your favorite recipes by clicking the links below! 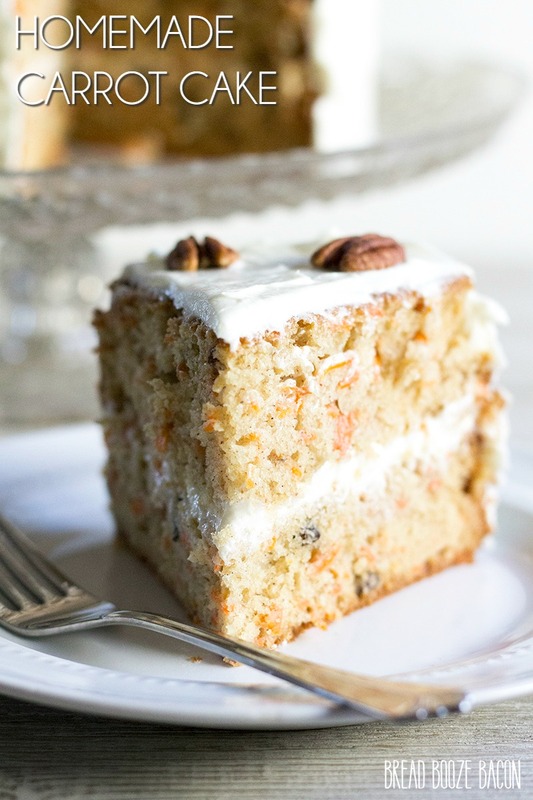 Homemade Carrot Cake is a rich dessert that's easy to make and has pure, homebaked goodness in every bite! It will brighten up your Easter dinner! Preheat your oven to 350 degrees F. Grease and flour two 8-inch cake pans. In a medium mixing bowl, stir together the flour, baking powder, baking soda, salt, cinnamon, nutmeg, and ginger until well combined. Set aside. 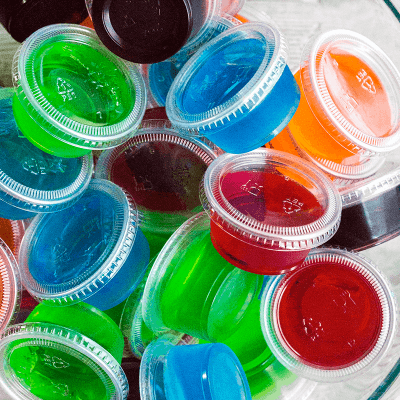 In a large mixing bowl, beat together the oil and sugar until combined. Add the eggs and vanilla; mix until completely incorporated. Add the sour cream and mix until smooth. Add half of the dry ingredients to the wet ingredients and mix until just combined. Add the pineapple juice and mix. Add the rest of the dry ingredients, and mix until just combined. Stir in the carrots and chopped pecans with a wooden spoon until evenly incorporated into the batter. Pour the batter into the prepared cake pans, half in each pan. Smooth into an even layer and tap the pan on the counter to help remove any air pockets. Bake for 35 to 40 minutes, or until the edges pull away from the pan slightly and a toothpick inserted in the center comes out clean. In a medium mixing bowl, beat together the cream cheese, butter, and vanilla until combined. Add the powdered sugar and beat until smooth. If the frosting it too thick, add 1 tablespoon milk and beat the frosting again. If it's still too thick add another 1 tablespoon of milk and beat until smooth. Place the second cake layer on top of the first, cut side down, so that you have a flat top to the cake. Frost the tpo and sides of the cake with the remaining frosting. Place 12 pecan halves evenly around the outer edge ot the cake top. 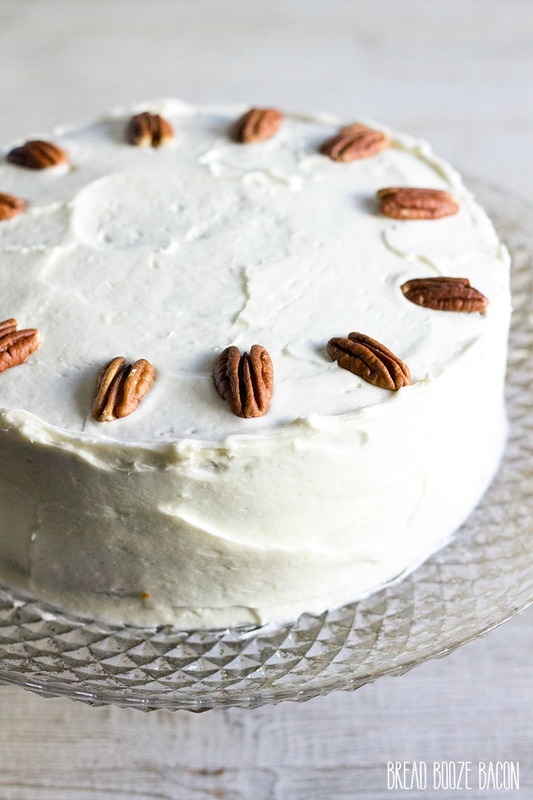 If you want to make your cake look a little fancier, you can coat the sides with chopped pecans as well. If you're into raisins and/or pineapple in your carrot cake, you can add an 8-ounce can of crushed pineapple that has been drained, and 1/2 cup raisins to the batter when you add in the carrots & pecans. This recipe doesn’t say when to add the carrots…. I almost just made a carrot cake with no carrots! Haha! 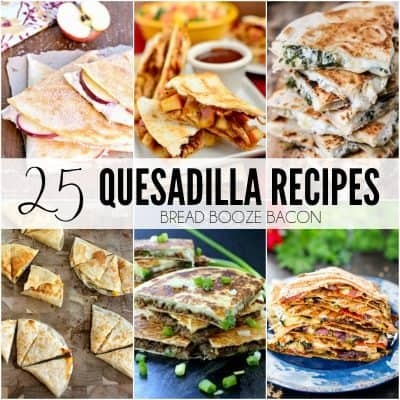 hopefully it turns out good, you may want to update the recipe. Thank you for sharing! OMG! I can’t believe I missed that step!! Thank you so much for letting me know Stacee! I really appreciate it!! How long do you bake for cupcakes? I haven’t made this recipe as cupcakes, but based on your standard cake mix time differences, I’d say 20-25 minutes. You could even check the cupcakes for done-ness (toothpick in the center) as early as 18 minutes and go from there. Hope this helps!